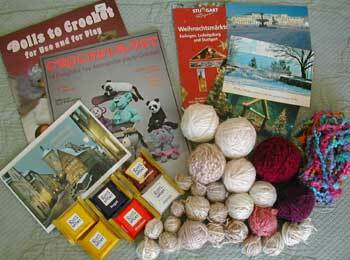 When I returned from visiting my family for Christmas, there was a wonderful Crochetville Elf package watiting for me. I love everything! Thank you very much, elfie! Clockwise from upper left: crochet pattern booklets, holiday phamplet, postcards, yarn, chocolates, and a lovely Chrsitmas card.